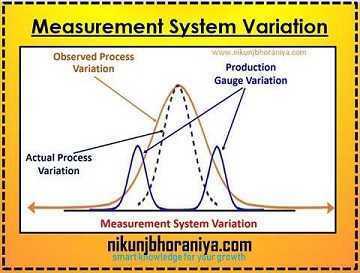 What is the Variation in Measurement System? HomeMSAWhat is the Variation in Measurement System? 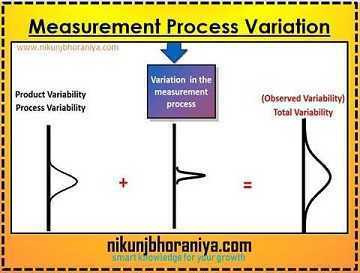 1) What is the Variation in Measurement System? 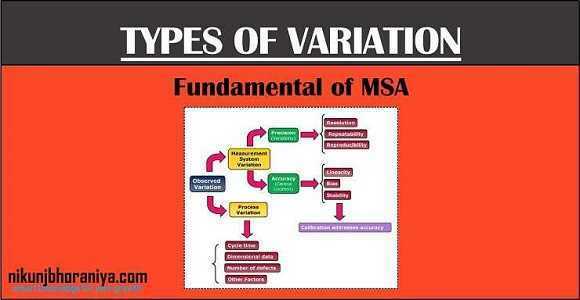 → Variation is sometimes described as spread or dispersion to distinguish it from systematic trends or differences. → Measures of variation are either properties of a probability distribution or sample estimates of them. → The range of a sample is the difference between the largest and smallest value. → The observed variation in process output measurements is not simply the variation in the process itself, but it is the variation in the process plus the variation in the measurement that results from an inadequate measurement system. → The variation in the measurement system is mentioned in the below picture. 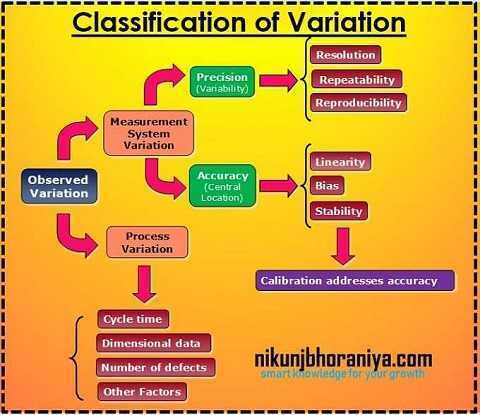 → There are different sources of variation available in the measurement system. → Both have a common factor which is the variation within a sample.